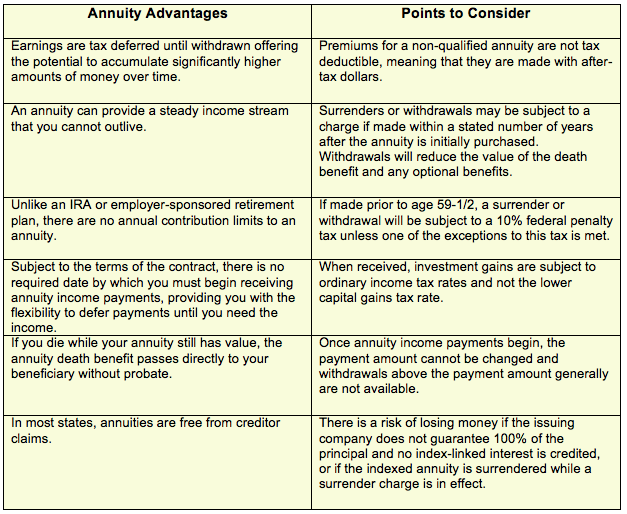 Annuities are insurance products used to accumulate tax-deferred savings for retirement which also can provide a current and/or future income stream. At Pendo Insurance we focus on fixed and fixed-index annuities which offer a reasonable rate of return and provide guaranteed lifetime income. These annuities are great vehicles for people who are looking for secure income streams to supplement Social Security and pension plans. Fixed annuities and fixed index annuities are very similar in that both provide a guaranteed rate of return that ensures safety of principal; however, fixed index annuities have the potential for higher returns because the interest earned is linked to a stock market index. You get the benefit of participating in part of the upside of the index while your principal remains guaranteed. At Pendo Insurance Services, we take time to understand your unique situation and with the help of our experts determine if an annuity is right for you. If you already own an annuity we can help you answer any questions you may have, and determine if you should stay with your current company or try to obtain better features by performing a transfer or a tax free 1035 exchange.